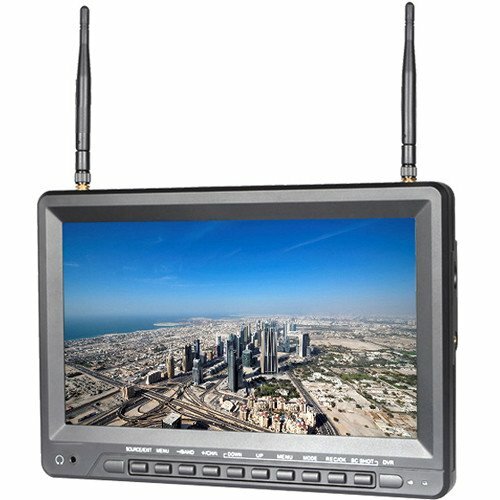 The Avinair Spectre 10″ Wireless FPV HD Monitor with DVR is built for first-person viewing of outdoor video and audio, especially for receiving wireless streaming feeds from your RC aircraft / drone mounted camera. 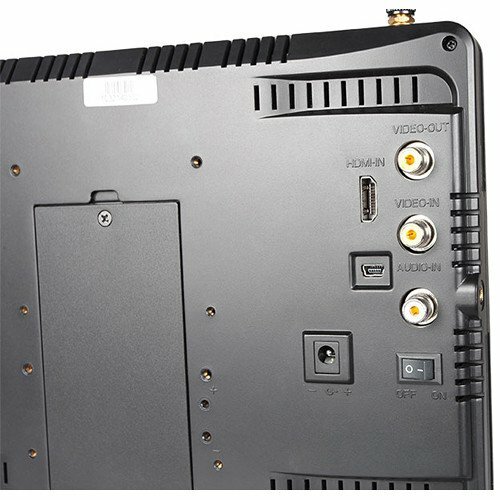 This monitor does not transmit blue screens, enabling you to see parts of a streaming image or video instead of a blue screen in the event of a signal loss. 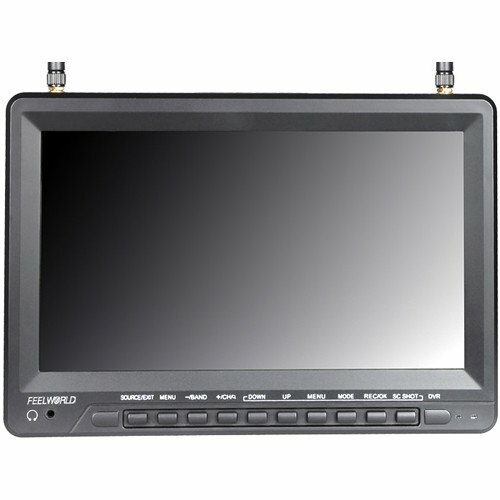 The LED backlit LCD display has a high resolution of 1024 x 600 as well as a high contrast ratio of 500:1 and a high brightness of 500 cd/m². The high-resolution display allows for crisp, clear images even in sunny conditions, thanks to its anti-glare surface. The monitor is also equipped with a sun shade for clear viewing under bright sunlight. 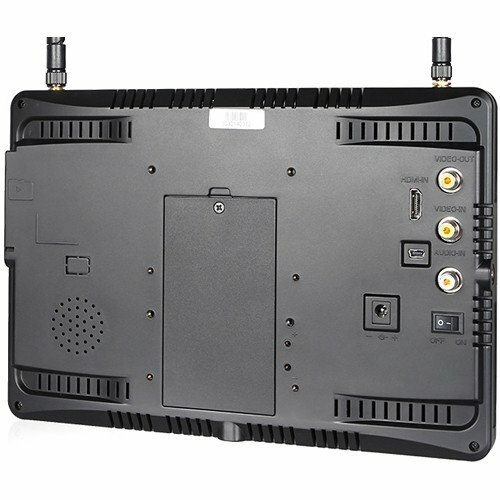 A single wireless antenna is included that takes an analog RF signal, as well as a built-in lithium battery, HDMI converter, and power adapter. Box Dimensions (LxWxH):	11.0 x 10.75 x 2.75"